PROPERTY Holmes Park embodies the true meaning of central location, meaning lucky residents are only minutes away from both the town centre and Horsham mainline train station. Entering Holmes Park via the sleek glass Entrance Hall, you will find access to all floors via stairs and lifts. The one bedroom apartments feature throughout Holmes Park, offering a wide variety of layouts and sizes to choose between, including apartments with stunning views over Horsham Park. Entering the apartment you are met with an Entrance Hall, featuring built-in storage and door leading to the Bathroom featuring a modern white suite ranging from full-sized baths with shower attachments, to separate showers. The double Bedroom boasts built-in wardrobes as standard. The Kitchen/Living Room is a bright and airy space offering plenty of space for furniture, whilst the Kitchen boasts fully integrated appliances, including fridge/freezer, dishwasher and washer/dryers as standard. 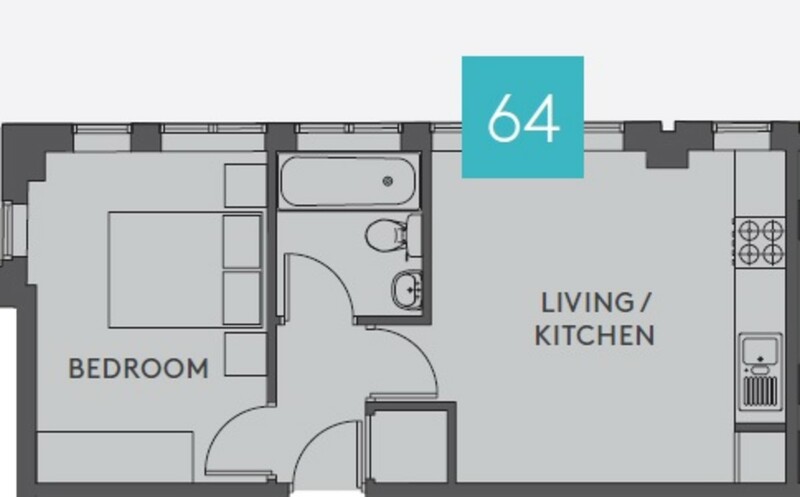 All one Bedroom apartments come with secure video entry phone system and allocated parking. Photos shown are examples taken from a 1 bedroom show home. This exact plot is ready for immediate viewings however.